Childhood undernutrition may result in poor physical development, and negatively impact on the workforce and society. We examined from the literature how micronutrient deficiencies may affect bone growth in preadolescent children in developing countries. Overall data from many studies carried out during the past 30 years show that dietary supplementation of children in developing countries may improve growth and development. Although the first few months and years of life have been considered key to these improvements, supplementation at any age may be able to influence bone health and physical development. There is considerable data in support of calcium supplementation, either in tablet form or from increased intake of dairy products, but it now seems likely that calcium alone may not be sufficient to enhance growth, unless other vital micronutrients are also provided. The recent societal changes in South Africa have resulted in an influx of cheap, nutrient-poor foods, leading to widespread childhood undernourishment in mainly black children in resource-constrained communities. 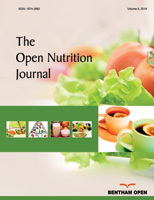 Data on dietary supplementation and long-term outcomes in these children are still lacking. An understanding of the complex interactions between macro- and micronutrients in enhancing physical growth and development, and a consensus on the optimal timing and delivery system of supplementation is required to improve child health in developing countries, including Africa. The efficacy and efficiency of food based programmes versus supplementation should be critically assessed. Keywords: Bone health, Children, Growth, Preadolescent, Physical development, Undernutrition.